Teaching that colors represent areas of land with some sort of common characteristics can be a very abstract concept. 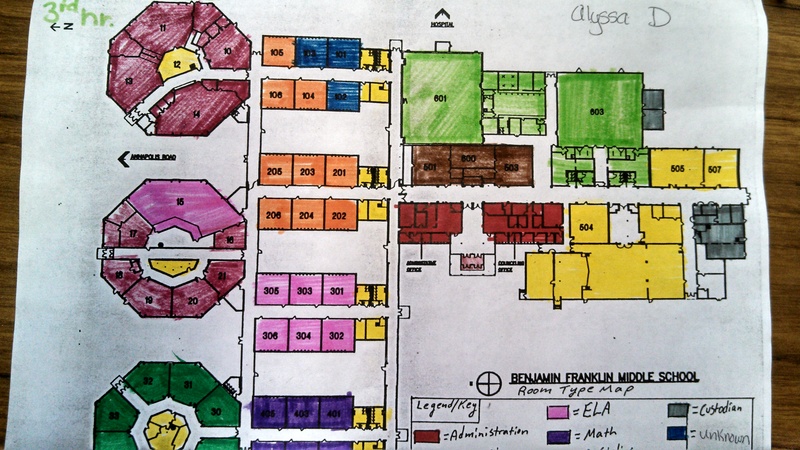 So as an introduction to learning about regions and regional maps/ colors on a map, we colored the academic regions of Franklin Middle School on a school map. I felt that this was successful in teaching the concepts because it made a strong spacial connection to an area that they know very well, their own school building.